Hello everyone!!! I started a new blog on blogger.com and it will featured my fashion illustrations. Some will be based on clothes from runway/magazines, and some will be my own creations. Come check it out and follow for constant update. 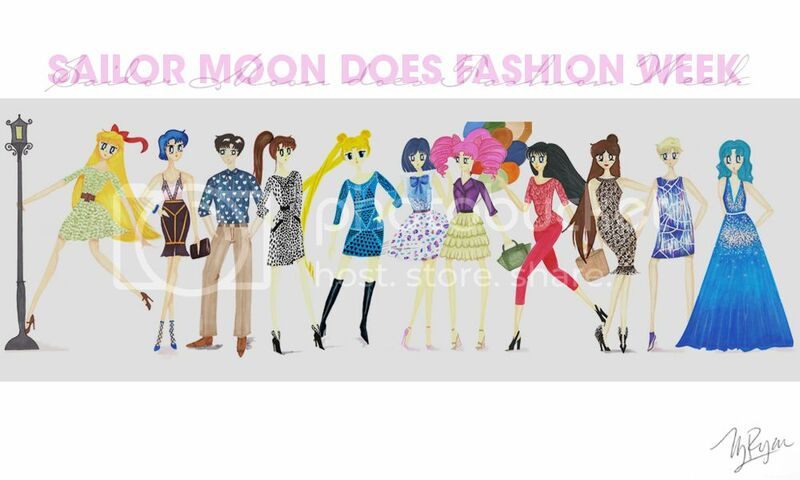 Here is some of my recent posts, the Sailor Moon Does Fashion Week series, featuring Sailor Moon and her friends as they take on Fashion Week. Hello, how was your weekend? Good? Great to hear. So school is starting again, but this year, I won't be going; because I've graduated already ^_^ That doesn't mean that I still don't have tons of supplies left over from the school days that'll last me for a lifetime. I have a box of papers, notebooks, folders, and countless pencils and pens. YIKES! It has been two weeks since my last posts, I'm just trying to build up my readership, but it's harder than I thought. So anybody out there know some tips, send them my way, please. To conclude today's topic, I have thirty stock icons that are cuter than words. I've been experimenting with colors and not trying to use the same color every time. I think Instagram is being a copycat. I mean LJ started square-shaped pictures with multiple colourings. Right? Well, enjoy. I hope everyone had a great weekend, mine wasn't quite that bad. Today I finally have a day off; I went and got my overdue hair a cut, and I love that way it feels. When you can't style your hair anymore, then it gets too long. I finally give Harry Potter a go with some icons. I don't know if it's me or not, but the last film is just too dark and murky. Everything is all grey. There are no colors that I can inject into them. I haven't done the other films yet, but after doing this, it might deter me from continuing with Harry Potter (though I'm a huge fan). Anyway, here are 23 icons for your enjoyments. Come back soon and have a great week!!! Finally!! Some textures for you lovelies. It's so tough making textures; it seems everything has been done, or it seems like it. I wanted to give you something new, and I think I succeeded. I have enclosed 25 100x100 textures in a ZIP folder for your convenience; just don't forget to credit and comment when taking and/or using. It lets me know if anyone out there is using it. In the meantime, I made some stock icons for your needs. I haven't done stocks in ages; I forgot how fun it was.